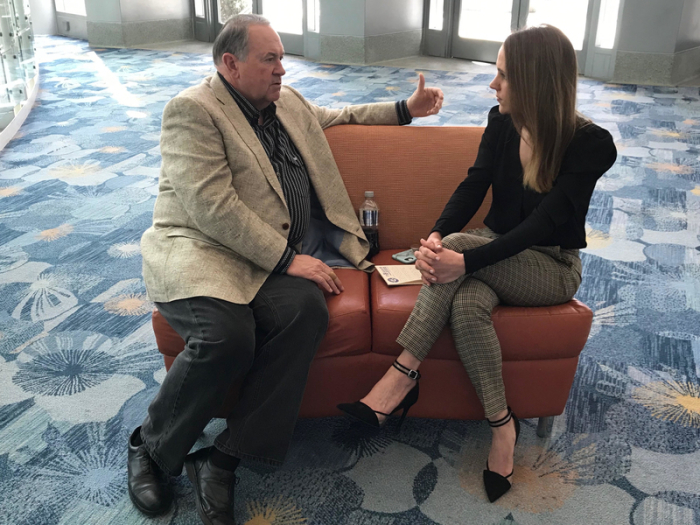 ANAHEIM, California — Redefining gender and sexual identity is the “greatest threat” to the moral fiber of America, said former Arkansas governor Mike Huckabee, and the fault lies with the Church. The 2008 and 2016 Republican presidential candidate explained that California’s introduction of “no-fault divorce” in 1970 created the mindset that marriage “wasn’t really that important” and that one “could go in and out of it without a second thought.” Prior to that time, some kind of marital fault had to be demonstrated before a divorce could be granted. Huckabee pointed out that society today celebrates single parenting and posits the idea that fathers “really aren’t necessary” when it comes to raising children. The younger generation, Huckabee said, is obsessed with saying: "Here’s what I feel, here’s what I believe, here’s what I think," and "this is my truth." Parents, he added, have an obligation to teach this truth to their children — and to protect and shield them from destructive political agendas. Huckabee, who today hosts a weekly program on the TBN Network, told CP that in an increasingly divided society, it’s becoming “harder” to find common ground with those who hold opposing viewpoints. The Left, in particular, he said, wants little to do with those who disagree with them. “We try to get people from the other side of the aisle to come on my show, and we find it's very difficult because they don't want to do it. They want to stay in their own water even though we make it clear that we’re not going to brush them,” he said. 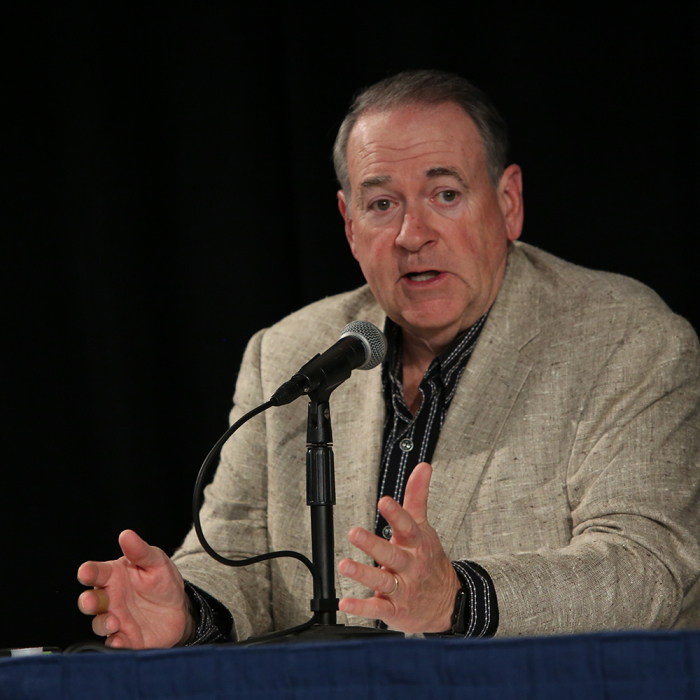 Earlier in the day, Huckabee spoke at the TV & Film Summit at Proclaim 19, the National Religious Broadcasters International Christian Media Convention. “I do believe there is a place for a show that’s wholesome, refreshing, variety, that’s entertaining, informative, inspirational — all of those things in an hour — that it moves fast enough that nobody is just lost in a deep, long segment,” he said. Huckabee said his goal is to tell stories that matter and give a platform to “ordinary” people who are doing extraordinary things. “It just makes me feel really good to know that there are still people in the human race who are absolutely remarkable and have God’s imprint in their soul,” he said.